I’d put Fallout right up there in the top three films of the series along with the first one directed by Brian DePalma, and the fourth one, Ghost Protocol, directed by Brad Bird and featuring that jaw-dropping Burj Khalifa sequence. 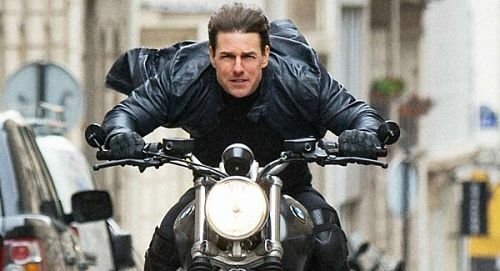 Cruise is in great shape kicking, punching, jumping, climbing, hanging, crashing till he’s got your attention, and he doesn’t let go of it until the end.I’m going with four out of five for Mission: Impossible – Fallout. Prepare to be thrilled. And just remember, 56 has never looked this good. Mission: Impossible – Fallout is a testament to the miracle that is Tom Cruise. Cruise is among Hollywood’s last surviving superstars. And yet look at what this man is willing to endure to entertain us. In this film, he breaks his ankle – for real, leaps out of a plane at 25,000 feet, hangs from a helicopter and flies it, drives a high-speed motorcycle through Paris, leaps from innumerable terraces and runs so fast and so hard that I got exhausted just looking at him. Mission: Impossible – Fallout is a delirious fantasy which delivers a super-sized kick. Keeping with the spirit of the film, let us just cut to the chase – Mission: Impossible – Fallout is the best action movie since Fury Road and the best spy thriller since The Bourne Ultimatum. Fast paced, stylish and vastly entertaining, this is not only a reminder of how insane Tom Cruise’s dedication to delivering big screen thrills is but also a prime example of how movies are originally meant to be watched on the big screen.There are some stunts in the movie that will genuinely make you gasp, many performed by Cruise himself, which is commendable in itself, but he is also a tremendous actor who, between the fist fights, brings some solid emotional punches in the film. Stop wasting your time reading this piece and book your ticket already. Technically the film is astutely mounted. The action sequences are impeccably constructed and tightly edited to maximum heart stopping impact. It is exciting to see Cruise dangle from a helicopter and swing on the sharp edges of a rocky mountain with a precarious hook and his bare hands, or tumble in a crashed helicopter. The credit for this goes to Stunt Director Wade Eastwood, Cinematographer Rob Hardy and Editor Eddie Hamilton. And what elevates the viewing experience is Lorne Balfe’s music that accompanies the visuals.Overall, at the end of the two hour twenty seven minutes of run-time, you do not find the viewing exhausting. Instead you pine for more adrenaline pumping action. On the whole, with only action going for the film, MISSION IMPOSSIBLE: FALLOUT does make for a decent watch for the MI fans who enjoy action films. 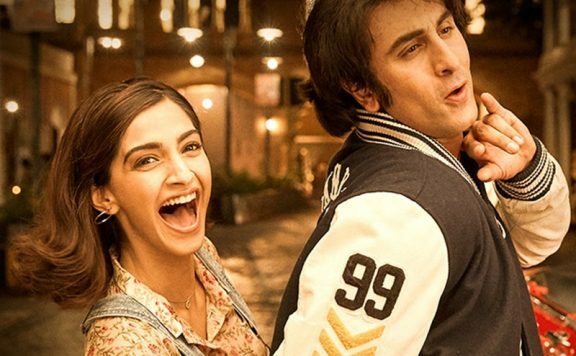 At the Indian box office, with previous Bollywood releases fading away, MISSION IMPOSSIBLE: FALLOUT that sees a wide release in multiple languages, looks set to enjoy a good opening weekend. Watch or Not? : It would fairly be impossible to miss this one even if you haven’t watched a single part from the franchise. Mission: Impossible – Fallout’ is a great mix of plot, pacing and performances that is undeniably the best entry in the franchise, while it re-establishes Cruise’s status as an action superstar.